EFGS is a non-profit organization run by a group of parent volunteers. Anne-Marie was born in Annecy and grew up in Auvergne. She graduated from the Institut d'Etudes Politiques in Grenoble before going to Paris-Sorbonne, where she received a Master in Political Sciences. She pursued her education in Paris Dauphine with an MBA in Accounting and Information System. For more than 10 years, she worked as a professional trainer and consultant. 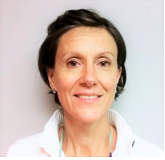 In Seattle since 2000 with her 3 children, Anne-Marie has maintained her career in the training field while combining it with her love for the french language. For the last 12 years, within various schools and programs, she has been teaching French to children and adults and enjoys sharing her passion for writing, reading and arts. Jennifer grew up in Provence near Avignon. After completing her Masters of FLE (French as a Foreign Language), she moved to Louisiana to teach French in elementary schools for 3 years. She then moved with her husband to Hawaii where she worked as a Fundraiser Assistant for PBS Hawaii, specializing in the organization of children's events. In 2008, she moved back to the Mainland and has been living in the Seattle area ever since. She has a daughter enrolled at EFGS and regularly volunteered in 2015, before joining the EFGS team as an Administrative Assistant last May. Offering quality education is a top priority at EFGS. 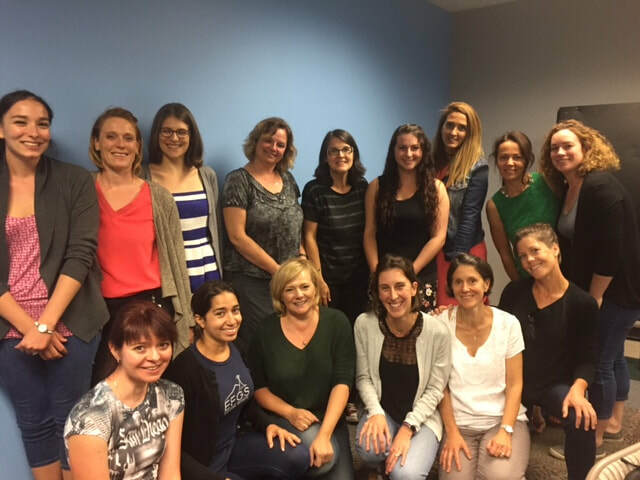 Our teachers and assistants are chosen based on their personality, teaching experience, quality of their native French, and ability to help students progress. French is their mother tongue or they have a superlative command of French, like a francophone. Teachers and assistants work in team and meet periodically. These meetings allow teachers to exchange ideas and resources, to set up new projects and to assess those currently underway in order to pursue or modify them, depending on the students' success and progress. Alain was elected as the new Treasurer in November 2015. Alain and his wife Roshini, and their three children have been living in the area since August 2014. All three of them are enrolled in our Saturday classes in Redmond. Alain has been a finance director of companies in France, Germany and Spain. He then held several general management positions in aerospace companies. Sophie moved from Paris to Seattle in 2011. Her husband and their three boys are native French speakers. After a college degree in business and management. Sophie lead roles in international F500 for almost two decades in finance, sales and training department. Beside her family and corporate career, Sophie followed her interest for personal development and leadership with Tony Robbins in the USA as a trainee. Because she values strongly education, Sophie volunteers has an ambassador at ‘Bellevue School Foundation’, and shares the French culture to American French learners in High School by leading conversational classes. Aurélie moved to the US from France in 2009 with her husband, Julien. After living in Atlanta for 8 years, they relocated to Seattle early 2018. They have 3 kids who are fluent in French and who are all enrolled at EFGS. She graduated from ESSEC Business School in Paris and worked for 15 years in different banking institutions in capital makerts and corporate finance in France and in the US. Sylvie has 2 boys enrolled at EFGS in 2018. Misa is a retired administrator and French teacher still very much involved in Language Education. She is a former Director of the Alliance Francaise de Seattle, President of the Northwest Chapter of the American Association of Teachers of French (AATF- WA/AK/BC/AB) and Chair of the Education Committee of the Federation of Alliances Françaises USA. She has always been actively promoting the language and culture of France and the French speaking countries. Her experience encompasses teaching in France and in the US, teacher training, speaking at professional conventions on World Language teaching and learning. From 1987 to 2008 Misa directed consecutively the ACE Language School in Seattle and the Alliance Française de Seattle of which she started and developed the school program for adults and children as well. Misa is accredited to administer the national French tests DELF and DALF. She is very passionate about early learning language in schools, and, of course, French in particular.